The Golden Grizzlies women’s basketball team has some key games coming up with in-state rivals the University of Michigan and Michigan State University this week. Taylor Jones, a senior guard for the women’s team has become a leader and driving force in the success of this very young squad. Jones, also known as “TJ,” is a Detroit native and enjoys her opportunity to play so close to home. 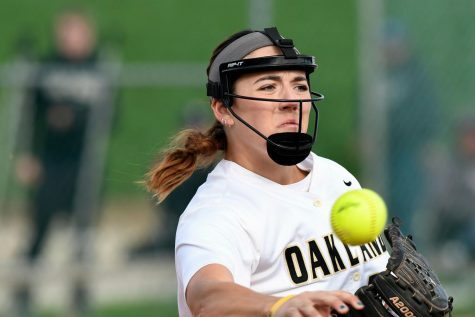 As she’s playing in what may be her final year in a Golden Grizzly uniform, she is still optimistic about how she’s grown and the experiences she’s had here. 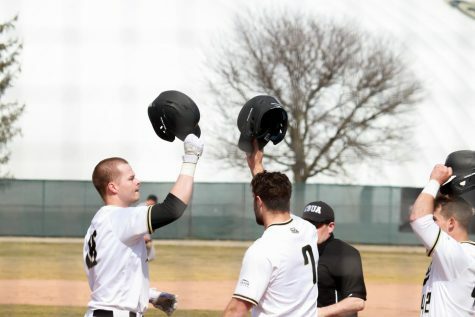 Last season, Jones was named the Horizon League Sixth Player of the Year for the second consecutive season. From the sixth spot, she scored 11.2 points per game, and hit double figures 21 times. This season, she is averaging a team-high 15.5 points per game and a team-high 6.9 rebounds per game. Jones is fierce on the court. She believes that when she plays she should be the x-factor. To lead her team, she should lead in all aspects of the game, emotionally and statistically. Jones believes one of her better traits is how hard she plays, and models her game after that of LeBron James, wanting to lead in every category of the stat sheet. Outside of basketball, she takes inspiration from her mother and grandmother. 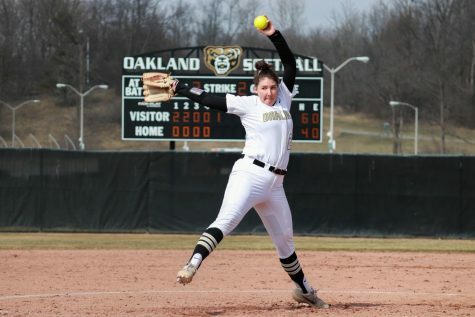 In fact, her grandmother was a deciding factor in coming to Oakland University. She also loves her teammates and coaching staff, and playing for the university has brought her many good memories. 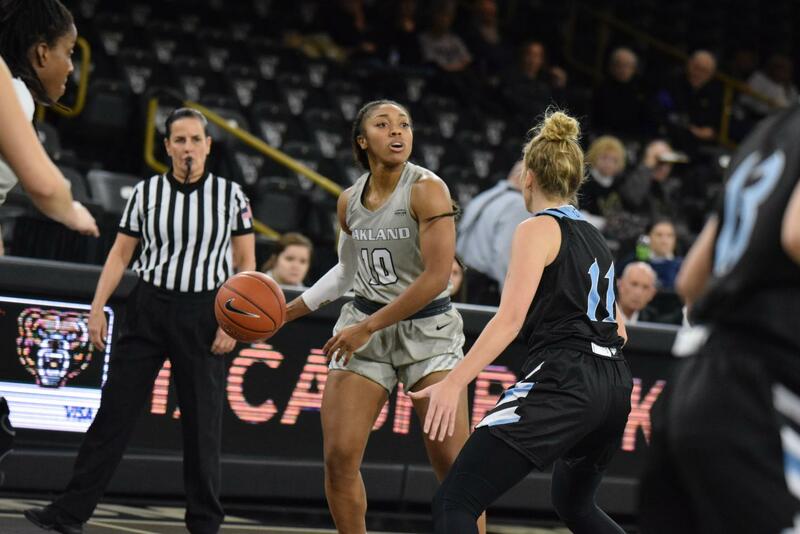 You can catch the women’s basketball team on Wednesday, Dec. 5 on the Blacktop playing the Michigan State Spartans, then on Sunday, Dec. 9 for the “Overflow the O” game as the Golden Grizzlies play the Michigan Wolverines in an attempt to break the women’s basketball team record for attendance.